City off to impressive start with home loss with 70% possession. Still don't really understand why Pep does not like Sane. Maybe he doesn't practice, but get rid of him already if you're not going to play him as much. 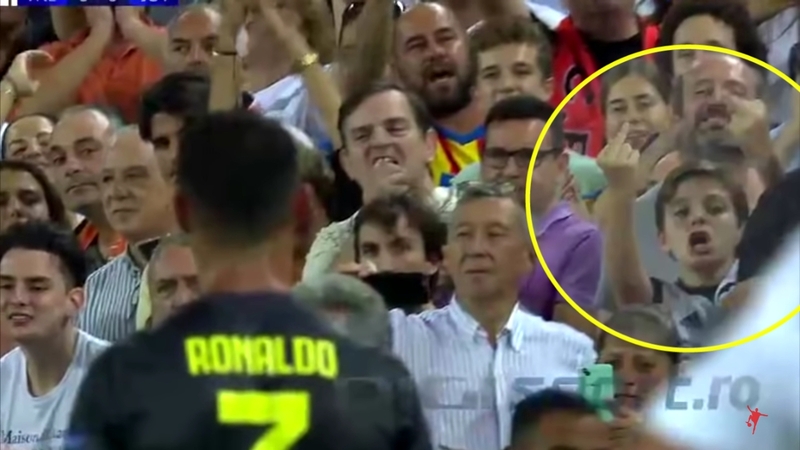 Don't forget Ronaldo's red card! He probably deserves it, and I don't really care that much, but, it's September 24. Three whole months until the end of 2018. We've got first halves of leagues and the Champions League group stages yet to finish. Do they have to give this award so early? EFL Cup Matches this week in England, though EVE play SOU next week for some reason. You can find them on ESPN+, which costs extra. Guessing that whatever is on ESPN right now collects too much revenue. Last edited by Dr T Non-Fan; 09-25-2018 at 02:25 PM..
Man U drop on penalties to Derby County. Tomorrow: TOT v WAT at Milton Keynes. Chelsea finding a way to thwart Man U from a distance.... Derby County's Frankie Lampard and Mason Mount. When a big team goes down, usually not a big deal, but Lukaku, Martial, Lingard, Mata and Young started. Appears they were actually trying to win. This team is in trouble.